Submitted by CC Makers on 2010-10-28 16:05. 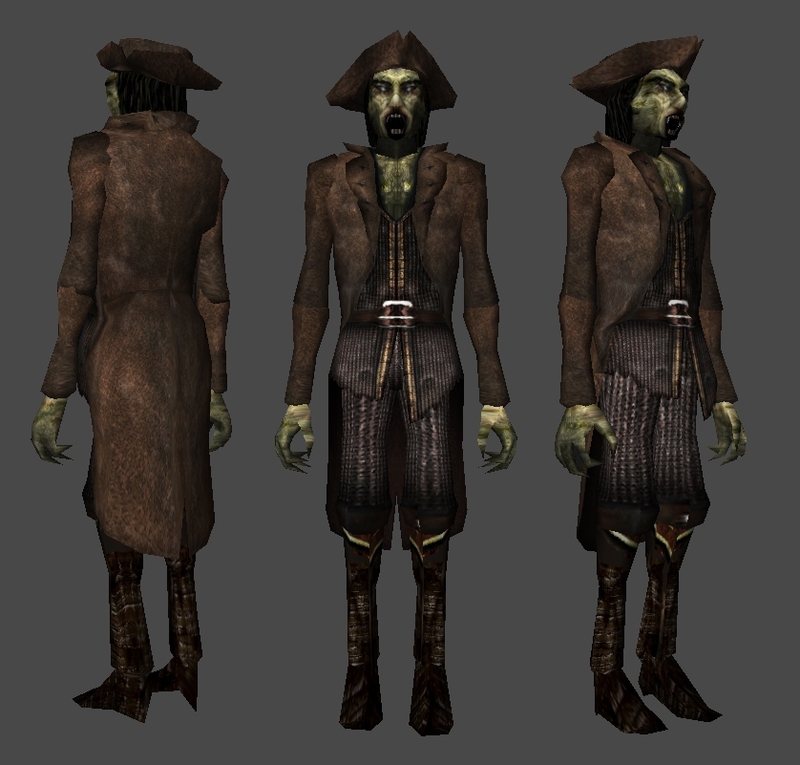 The theme was: "Buccaneer/Pirate's custom content"
And here are the results of the various participants! These are only models, their textures, and portraits. To use this you have to include those files in a hak, and add 2da lines to your own 2da files. Copy paste the lines, and renumber appropriately if the numbers we used are already taken in your own 2da files. Once it's done, open your module in aurora (add the hak if not yet included in the module's custom content list), and then you have to create a blueprint for each of the models. 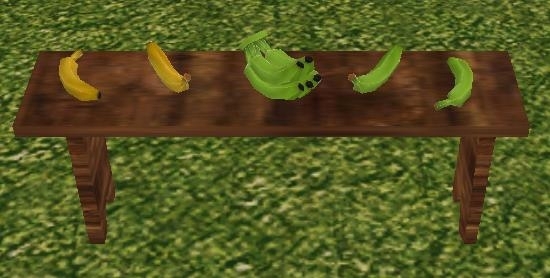 You can find the placeables and creature models under the appearance names starting with "CCC09_2010". The pirate outfit parts are on line 109 for the belt and torso. The VFX parrots are on 2da lines 700 through 723. The treasure map is misc medium #166. - Added walkmesh files for the cannons to ccc092010_module_hak-v2.rar and ccc09_2010-v2.rar. As well as a seperate file (cannon_pwk.rar) for those who have already downloaded the rest of the content. - Fixed the usable placeable descriptions in the demo module. 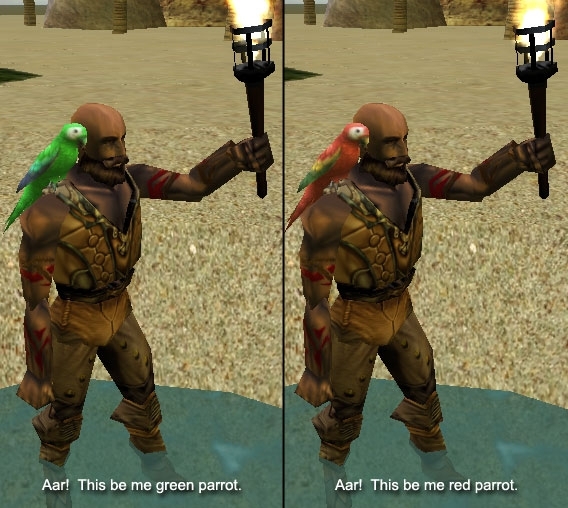 - Fixed "stubbornly persistent" parrot models. ccc092010_module_hakv2.rar - Demo module and hak. Put the inclosed hak in NWN "hak" folder, the "mod" file in NWN module folder, and take a look in game! v2 now includes the walk mesh files for the cannon placeables. ccc09_2010v2.rar - File containing 3 folders. "Files" contains the various content by author. These are what you need to include in your hak. "2DAs" contains the various 2da files with all the combined entries. And "Screenshots" well... v2 now includes the walk mesh files for the cannon placeables. cannon_pwk.rar - Four walkmesh files for the placeable cannons. You only "need" to download this file if you grabbed the original versions of the files. parrot_fix.7z - Updates all 24 parrot models so that they can be properly removed via scripting. Download and replace the ones you get in the full files with these newer ones.